Consignment is when you leave your items with us and we sell them for you. We are agents for the sale of your home furnishings and you continue to own them until the sale is made. We have a 90-day contract that spells everything out clearly, so that you will know just what to expect from us. 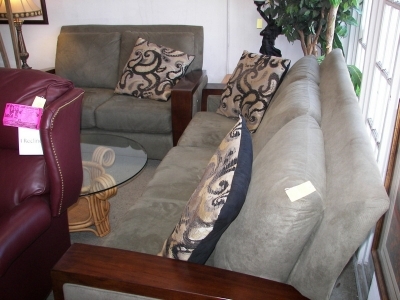 We try to sell your items for as much as the market will bear for pre-owned and gently used furniture. The proceeds are split 50/50. We mail checks once a month, after an item is purchased and paid for in full. Checks go out by the 15th of the month following the completed sale. We ask you to contact us at the end of the 90-day time period to discuss whether your items have sold. If they did not sell, we can renegotiate for additional time, donate the merchandise to charity and send you the receipt, or you may take the items back. Consignment Furniture Gallery and Consignment Furniture Showroom were the first stores of their type in Pinellas County. We are members of the Better Business Bureau and both stores have A+ ratings. We continually strive to maintain our integrity and excellent reputations. Our goal is to exceed your expectations so that you will tell your friends and neighbors about the excellent job that we did for you.